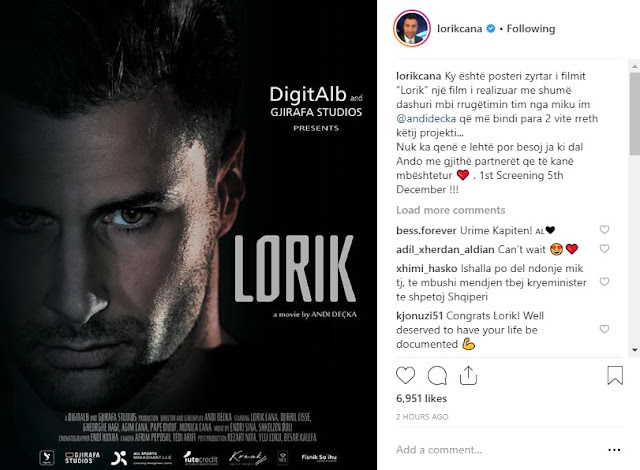 Lorik Cana's life and career will now come as a movie for the Albanian public. The news has been given by former captain of Albania in a post on Instagram, where he discovers that the film will be ready for the cinemas of Tirana on December 5th. "This is the official film poster 'Lorik', a movie that is produced with love relating my journey by my friend Andi Decka, who convinced me two years ago about this project. It has not been easy but I believe you have succeeded Andi will all the partners that have supported you. The first broadcast on Dec. 5,!" he wrote.